Farewell Brother Brian …. and thank you! Brother Brian “has been an outstanding, talented and compassionate individual whose work with patients in particular but also to staff has been so well received”. Brother Brian has been of immense support to countless numbers of patients and to the Catholic Community here in Cardiff. A gentle man with a very keen sense of humour he will be very greatly missed. 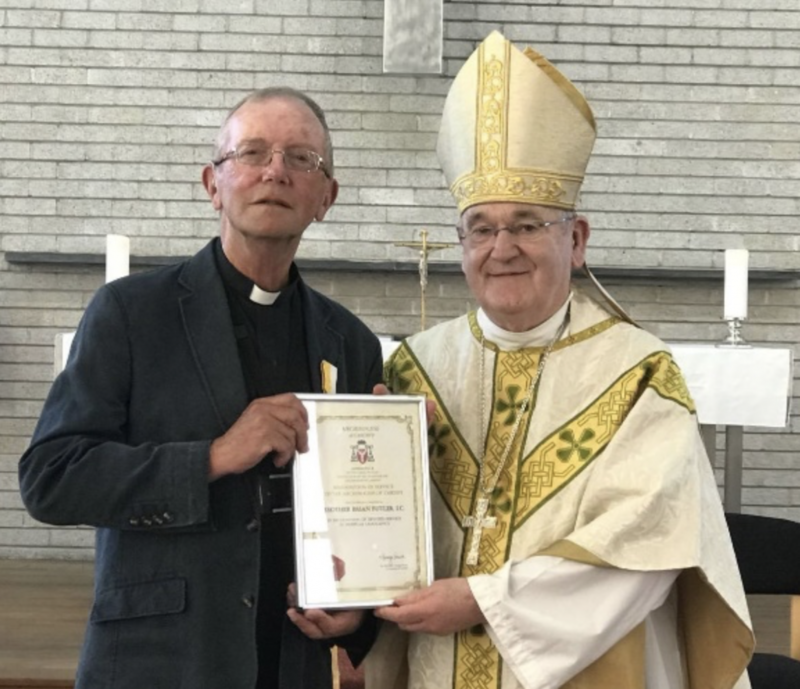 During the Mass, Archbishop George Stack presented Brother Brian with a Diocesan Service Medal in grateful appreciation for his many years of service. God bless you Brother Brian and Diolch yn fawr good and faithful servant.